Microsoft started rolling out Windows 10 last week to consumers worldwide in multiple waves. While we shared with you how you can download Windows 10 (irrespective of Microsoft notifying you – which should have arrived to everyone’s machines by now) along with sharing with you how to get the taste of Windows 10 on your Macs, we still have to share the details of making the jump from Windows 10 Home to Windows 10 Pro Edition. Steps to upgrade Windows 10 Home to the Pro edition are very straightforward. However, for some unknown reason, Microsoft has neither shared the details nor has it made the path to upgrade easy to find. If you want to upgrade from Windows 10 Home to Pro, following are the few very simple steps to help you out. Open Settings > go to Update and Security. Buy the Windows 10 Pro upgrade for $99. 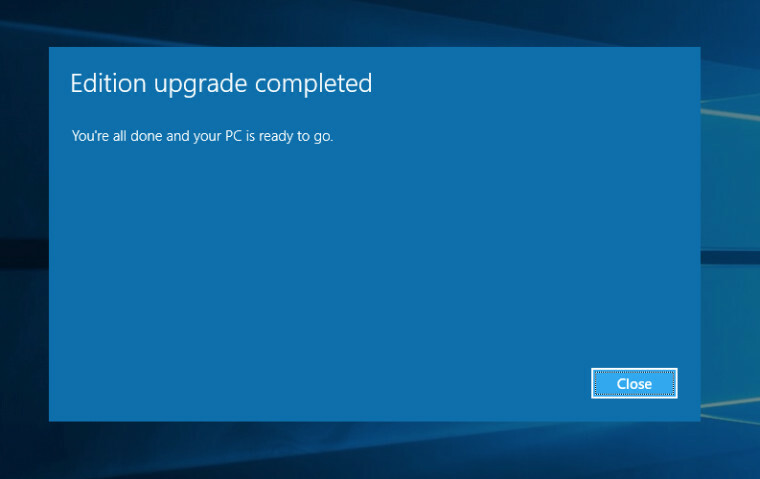 Once you have purchased the upgrade, Windows 10 will install only those bits on your computer that are essential to make the transition from Home to Pro edition. There won’t be any new installation taking place on your computer. As there is no re-installation process required, your files and all the settings will remain intact after making this upgrade. Have fun with the new operating system and don’t forget to stay up to date with our coverage of latest Windows 10 news, updates, and guides.